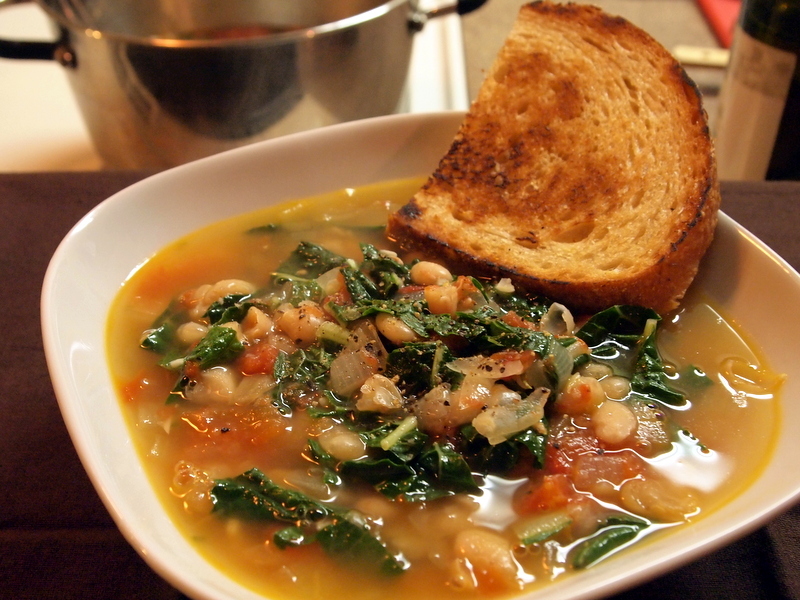 The perfect soup for the cooler weather – just like grandma used to make! Saute the onion and garlic in the olive oil over medium-high heat until the onions are translucent. Add the vegetable broth, bay leaf, and tomatoes. Bring to a boil, then reduce heat to simmer. Add the beans, kale, and rosemary and simmer until the kale is tender, about 4 minutes. I made this soup last week and I loved it (will probably make it again this week…). It was so easy and tasted great. The only thing different I did was I added a little frozen corn (only because I tend to add frozen corn to almost everything…), but it would have been fine without it. Thanks for the quick and easy (and tasty) recipe–just what I need! We’re glad you liked it! Thanks for commenting and sharing your modification!